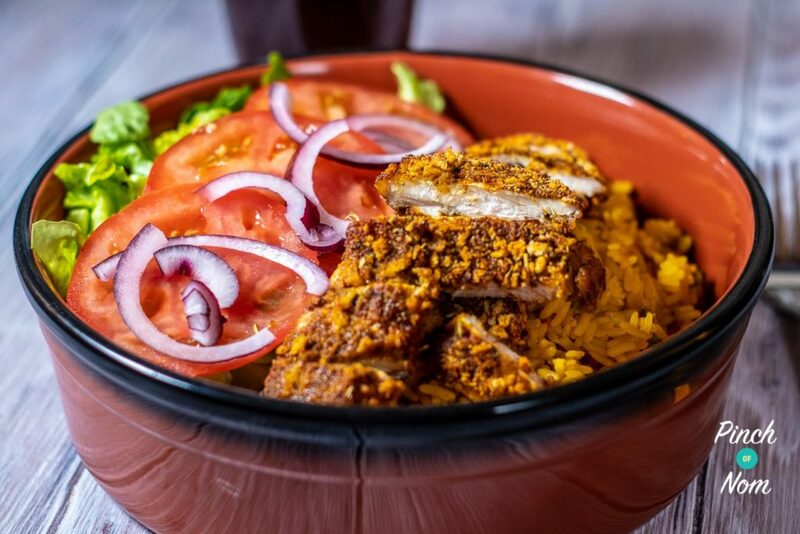 The temptation of the KFC takeaway will be kept well under control with this low calorie, low points and low Syn KFC Rice Box! This KFC Rice Box is really versatile. 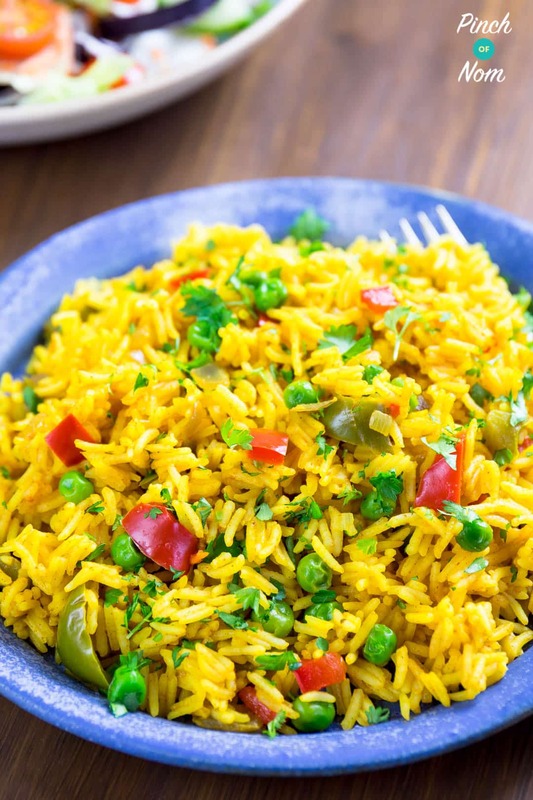 We’ve used our Syn Free Savoury Rice, but it would work well with any of our rice recipes, depending on what you fancy! 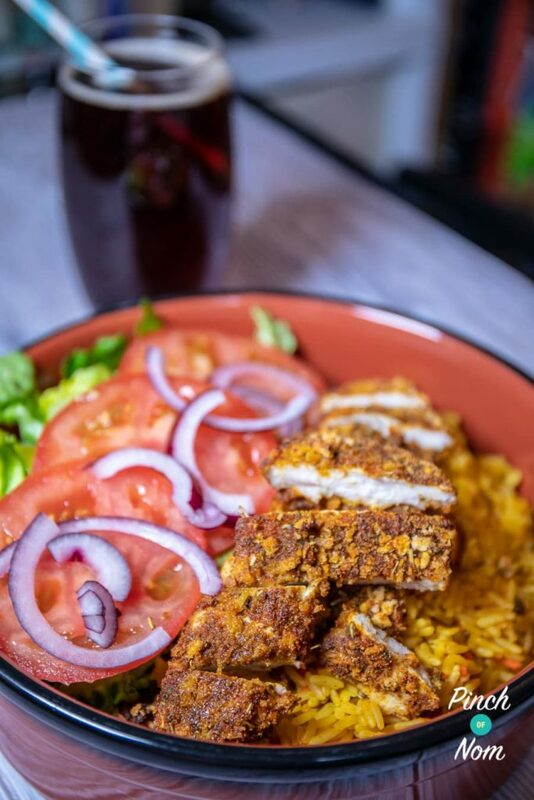 Why don’t you try it with some Syn Free Nando’s Spicy Rice? 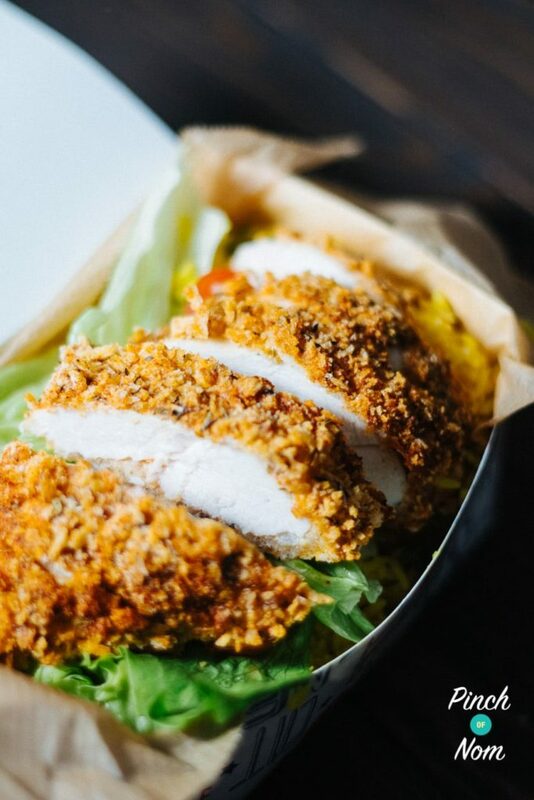 If you love KFC then you should take a look at our other KFC Fakeaway recipes! We’ve got loads to choose from! 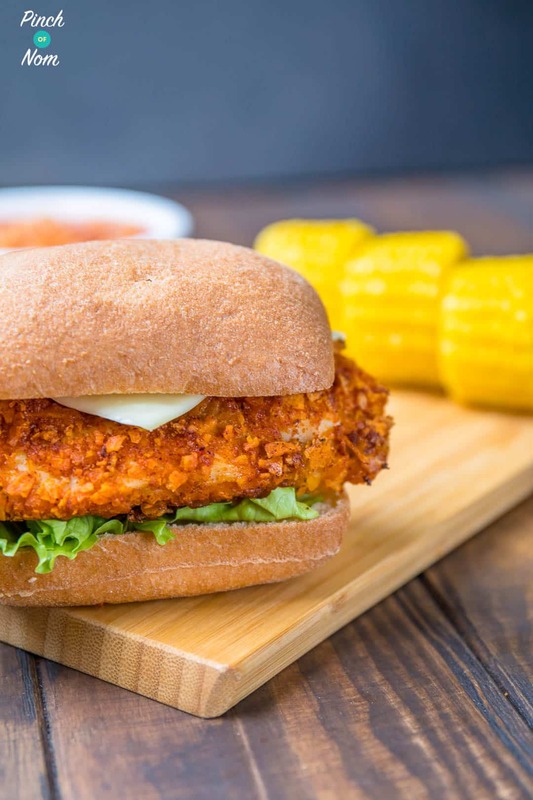 These Low Syn KFC Zinger Burgers have been super popular over on our Facebook Group – why not make them and find out what all the fuss is about?! Love this KFC Rice Box recipe? Tag us! If you make this KFC Rice Box recipe, snap a pic and hashtag it #pinchofnom — We love to see your creations on Instagram, Facebook, & Twitter! What do I need to make this KFC Rice Box? This KFC Rice Box is really easy to make, with no fancy kitchen gadgets! You’ll need a few basics such as a decent baking tray like this one from Amazon. 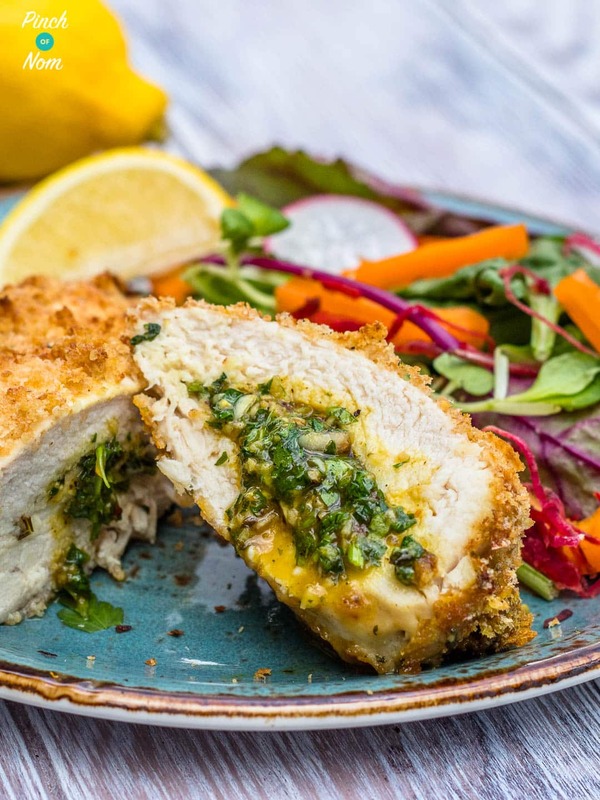 We use baking trays alllllll the time, and a decent one is really useful for recipes like these Low Syn Chicken Kievs! 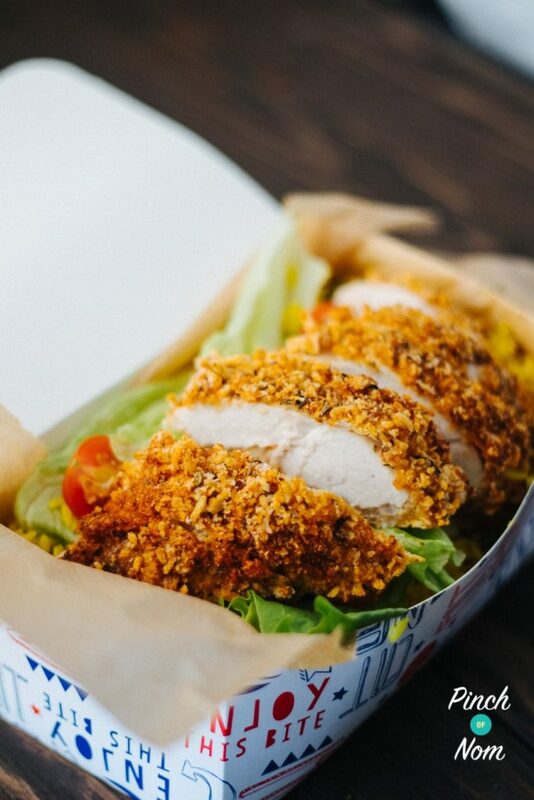 We’ve used Panko breadcrumbs in this KFC Rice Box recipe. 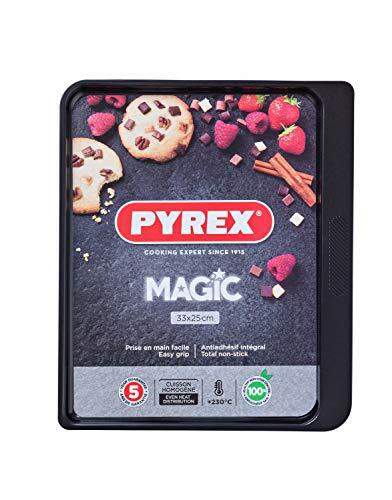 They’re a Japanese dried breadcrumb which are really crisp but also really light so you get loads for your Syns, Calories and Points. 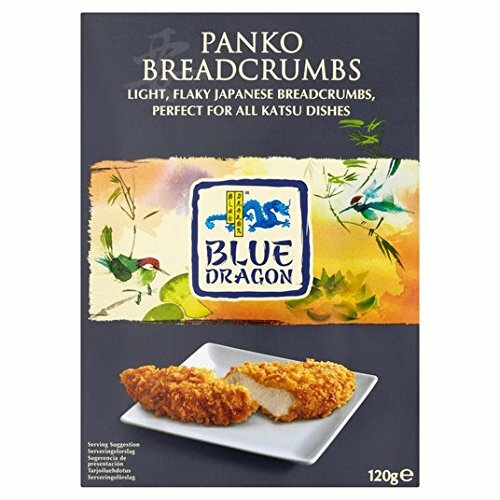 You can pick some Panko breadcrumbs up at most supermarkets (normally down the Asian food aisle) or you can get some on Amazon. How many Calories are in this KFC Rice Box recipe? There are 471 calories in this KFC Rice Box, this saves you a few precious calories, but our version is much lower in fat! If you’ve got some veg which need using up, then just chop them up finely, and cook in with your chosen rice. It’s a great way of adding nutrients without adding loads of extra calories! This KFC Rice Box works out at just 2 Syns per portion…the rice is totally Syn Free! Best of all, you can pack it all full of Speed Foods – why not make it a thrifty meal and use up some leftover veg? 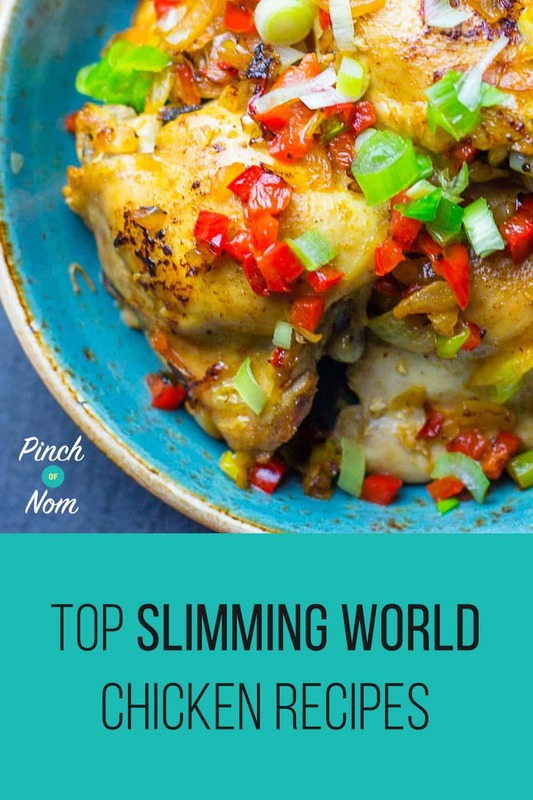 How Weight Watchers friendly is this KFC Rice Box recipe? 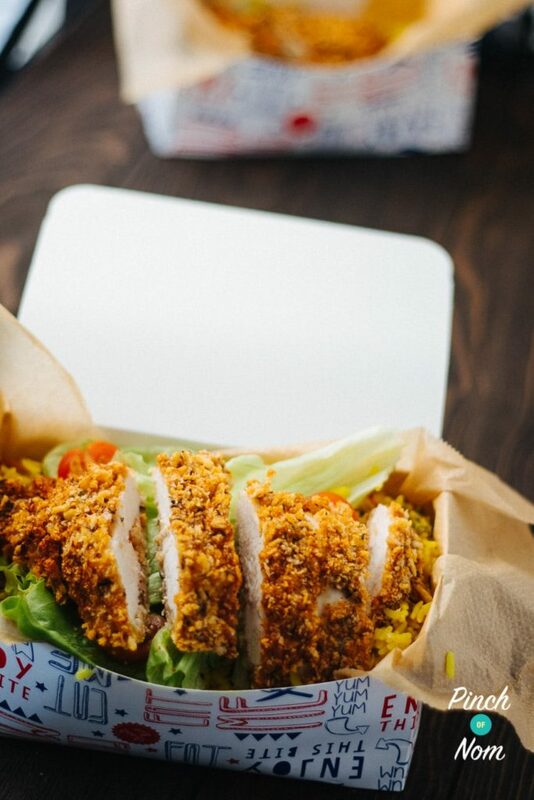 This KFC Rice Box is great if you’re looking for a low Point version of the takeaway favourite. At only 5 Weight Watchers Smart Points, you’ll never need to visit the restaurant again! Can I freeze this KFC Rice Box? 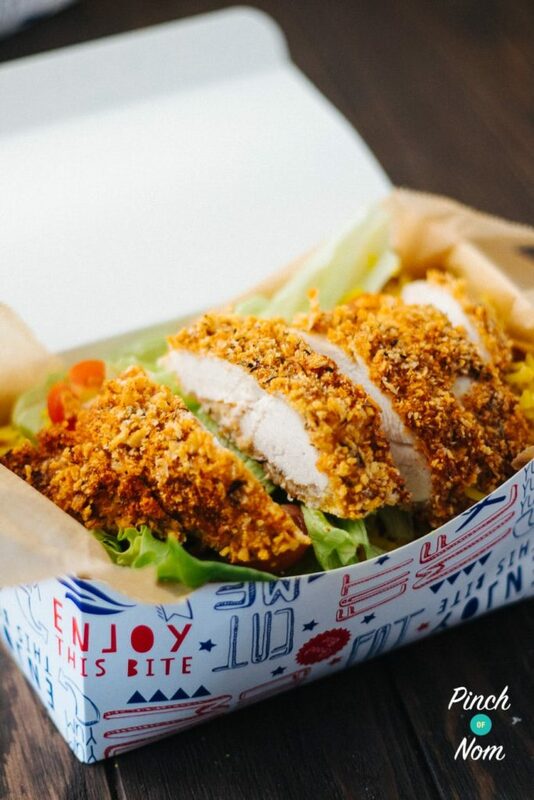 How do I make this KFC Rice Box? 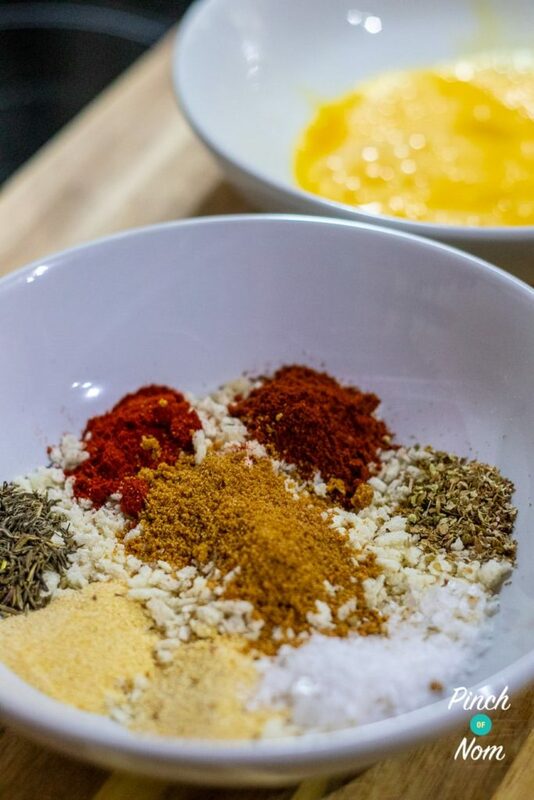 Place the breadcrumbs, herbs and spices into a shallow bowl, crumble in the stock cube and season well with salt and pepper. Mix to combine fully. Whisk the egg in a separate bowl. 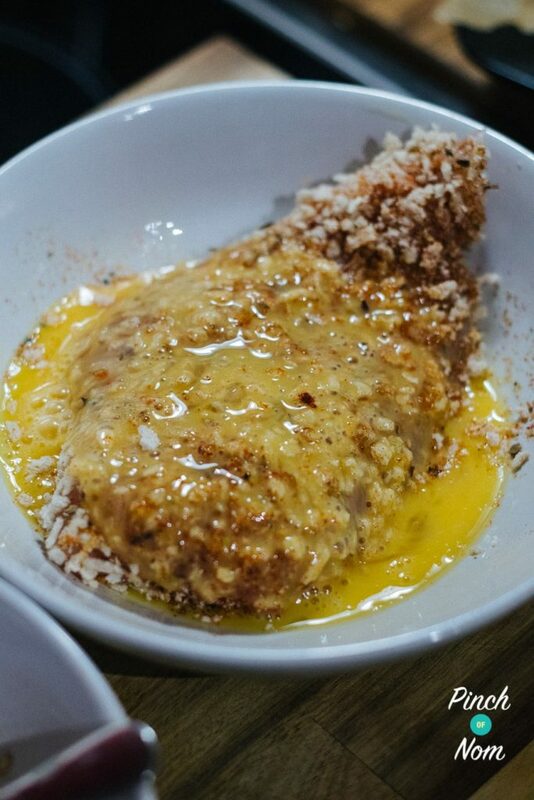 Dip the each chicken breast into the egg, then the breadcrumb mix. Then pop it back into the egg, and again into the breadcrumbs. This gives a super crispy coating! 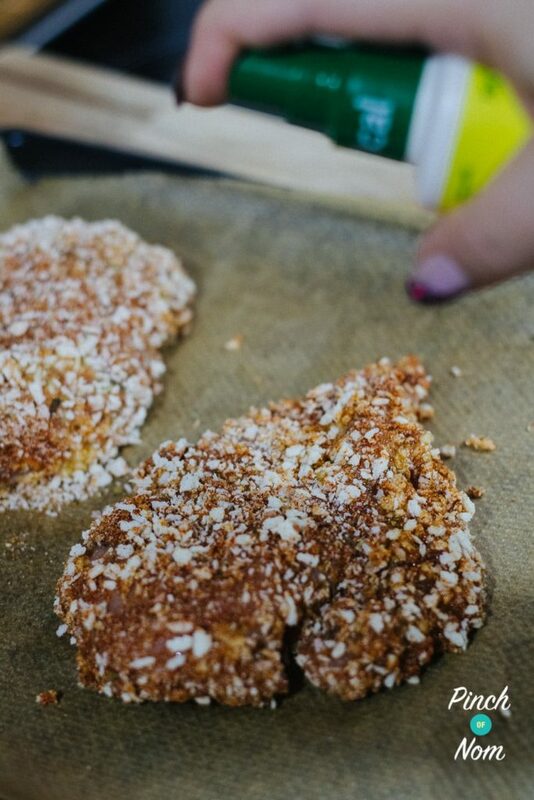 Place the chicken on a baking tray, spray with low calorie cooking spray and cook in the oven for 25 minutes. Meanwhile, prepare you rice as per the instructions in the recipe. Once the chicken and rice are cooked, serve with some fresh salad! Like this KFC Rice Box Recipe? 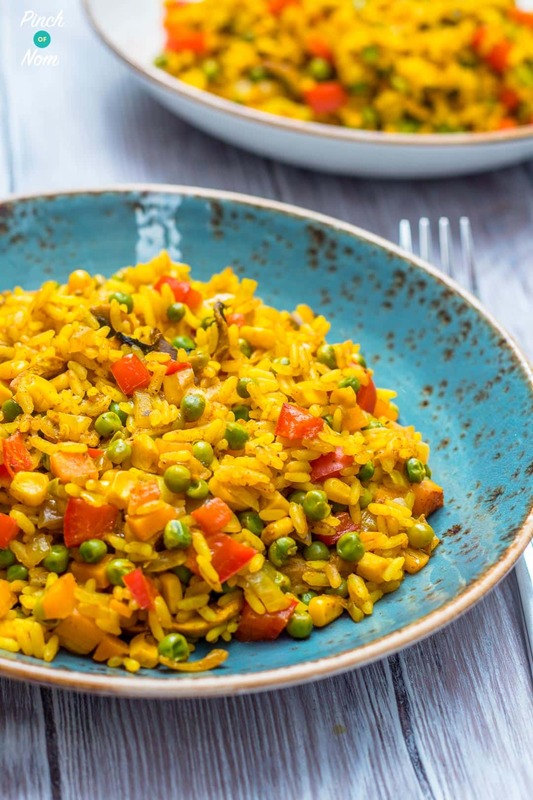 Why not try some more of our rice recipes? Place the breadcrumbs, herbs and spices into a shallow bowl, crumble in the stock cube, and season well with salt and pepper. Mix to combine fully. Whisk the egg in a separate bowl. So glad you enjoyed it, Claire. Thanks for getting in touch! The calorie count includes everything as listed on the recipe card, including a serving of our savoury rice recipe. Thanks for getting in touch! Hi, at what point would you freeze, before or after cooking? We have put freezing instructions on the recipe card at the bottom – scroll down for all the info! We have this for the first time tonight. Absolutely delicious. This may become a weekly favourite. Thank you for the recipe.